Mountain road icon. 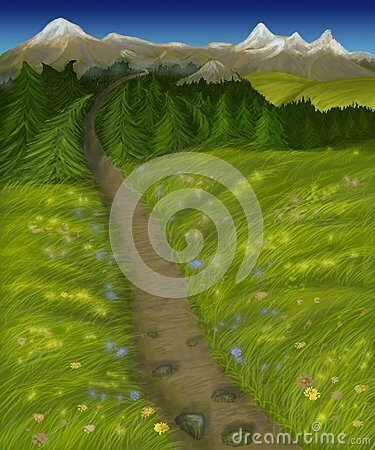 Vector thin line illustration with mountains, trees and road. Highway or car road going to the mountains.